May people have read about the benefits of meditation and would love to try it, but feel it is beyond their capabilities. Coming To Your Senses changes that perception. It teaches a new approach to meditation that makes the task of silencing the thought and clutter in your head no longer a difficult challenge. This book takes you by the arm and leads you step by step through the process of learning this new approach to meditation called Inner Vision Meditation. 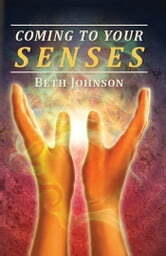 It reveals how each of us may utilize our own bodily senses to move effortlessly inward to a peaceful place. It shows us how by turning our attention inward we can gain a different perspective on life&apos;s challenges. It teaches us how we may bring our awareness to the present moment and watch ourselves manifest our reality. It helps us develop a trust in ourselves and teaches us that the answers we seek lie within. It shows us that we alone hold the key to our happiness.